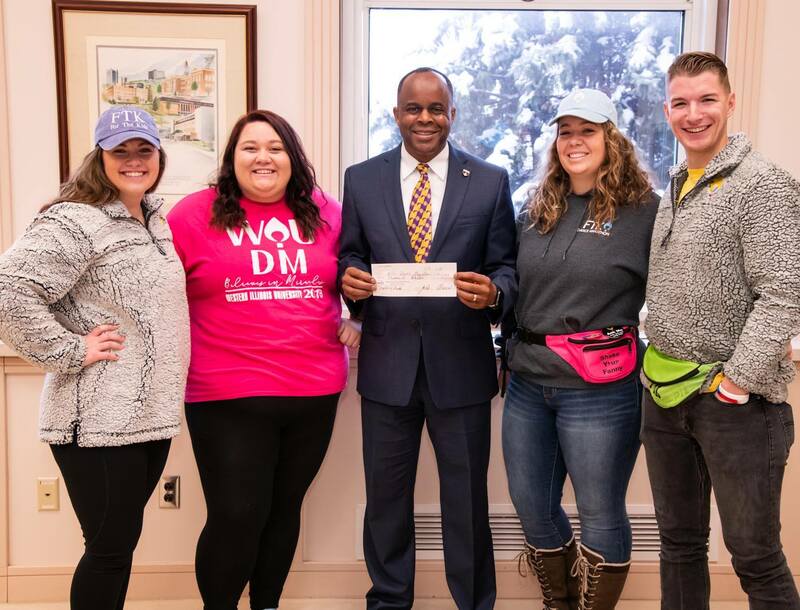 On Dec. 20, the WIU DM issued a challenge to President Jack Thomas, Ph.D. to match donations that day. Dr. Thomas heeded the challenge, telling the exec board to "Bring it on for the kids!" MACOMB, IL -- Dinner already handled and wearing jeans to work? Sign us up! 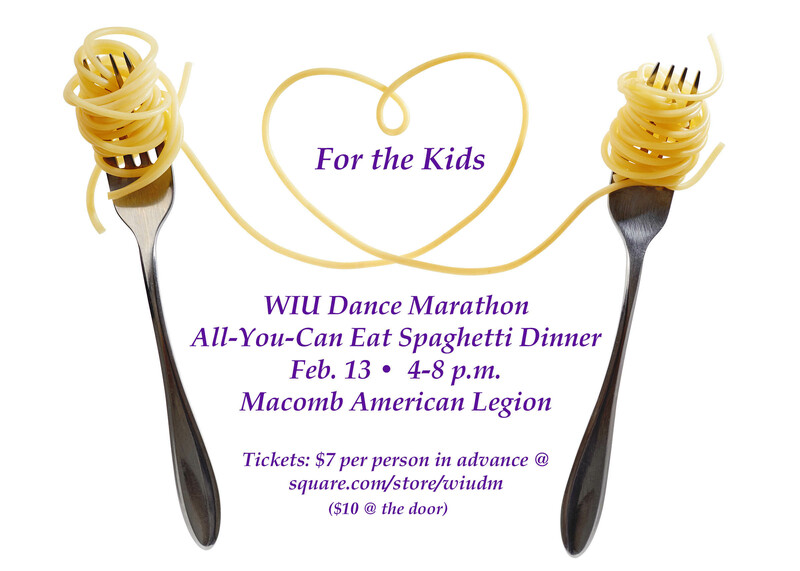 The Western Illinois University Dance Marathon will do your supper-time cooking Wednesday, Feb. 13 with an all-you-can-eat spaghetti dinner from 4-8 p.m. at the Macomb American Legion, 221 E. Washington St. The Feb. 13 event is part of the organization's year-round effort to raise money for Children's Miracle Network hospitals, St. Louis Children's Hospital and SSM Health Cardinal Glennon. The year-long event culminates Saturday, March 30, with the 12-hour Dance Marathon, which honors the 12-hour shifts of doctors and nurses, as well as children who are unable to stand. The spaghetti dinner includes all-you-can-eat pasta, garlic bread and salad. Tickets are $7 per person in advance via square.com/store/wiudm (receipt can be used as ticket, or ticket can be picked up at the Office of Student Activities after purchase) or $10 per person at the door. Advance tickets can also be purchased by contacting dancemarathon@wiu.edu. To go orders will also be available. Fast forward to Thursday, Feb. 21 for the Spring 2019 WIU Dance Marathon Miracle Jeans Day, with proceeds of the event going to St. Louis-area Children's Miracle Network Hospitals. Approval has been granted for WIU employees in all departments to participate in the special "wear jeans day," if they choose. For a minimum donation of $5, WIU employees can put their professional attire aside to wear jeans to work. Register online or send donations (checks payable to WIU Dance Marathon) to Nick Katz, Office of Student Activities. More information about Miracle Jeans Day is available at miraclejeansday.com. Western's Dance Marathon is entering its sixth year on the WIU campus, with this year's goal set at $150,000. On Dec. 20, the WIU DM issued a challenge to WIU President Jack Thomas to match donations that day. Thomas heeded the challenge, and because of his match up to $1,000, WIU's DM raised $2,592 in one day for the kids. And thanks to the president's match, a grant-matching foundation added another $3,000, for a grand total of $5,292 in one day for the kids. Donations of any amount are appreciated, and may be made by visiting https://tinyurl.com/yc4thf5h or emailing dancemarathon@wiu.edu. The $135,000 raised during the 2017-2018 Dance Marathon pushed Western's five-year total to nearly half-a-million dollars ($405,000). The 2017 event raised $123,000; the 2016 event raised $70,800; the 2015 event raised $53,000; and the inaugural event in 2014 raised $22,000. 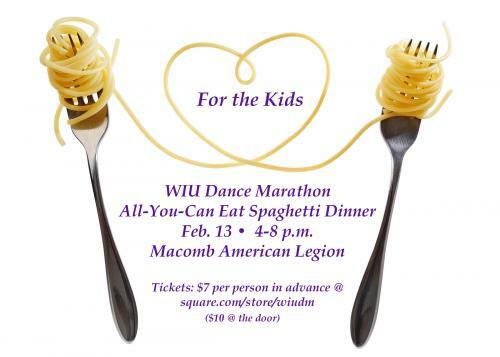 Additional details can be found on the WIU Dance Marathon Facebook page.